LATIN GUITAR & VOCAL PRIVATE LESSON. was a privilege to sing for Nagashima Kantoku on many occasions and he really liked my music. 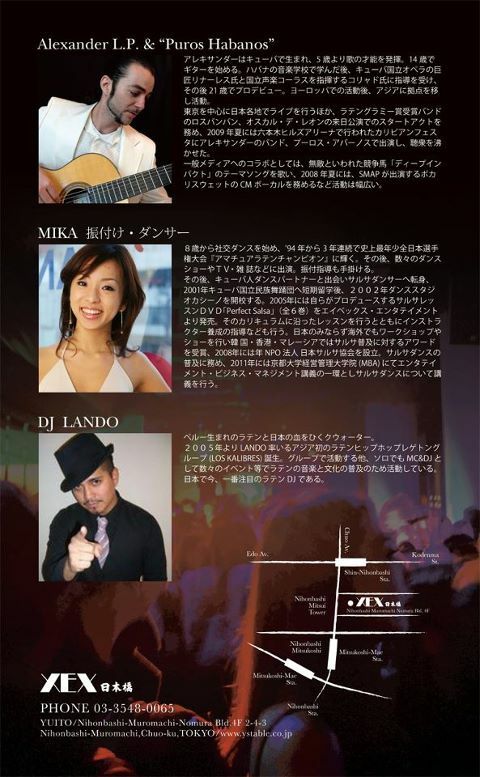 LA NOCHE LATINA AT XEX NIHONBASHI. Remember my friends we wait for you to celebrate the New Year at XEX 13TH JANUARY until 5 am .